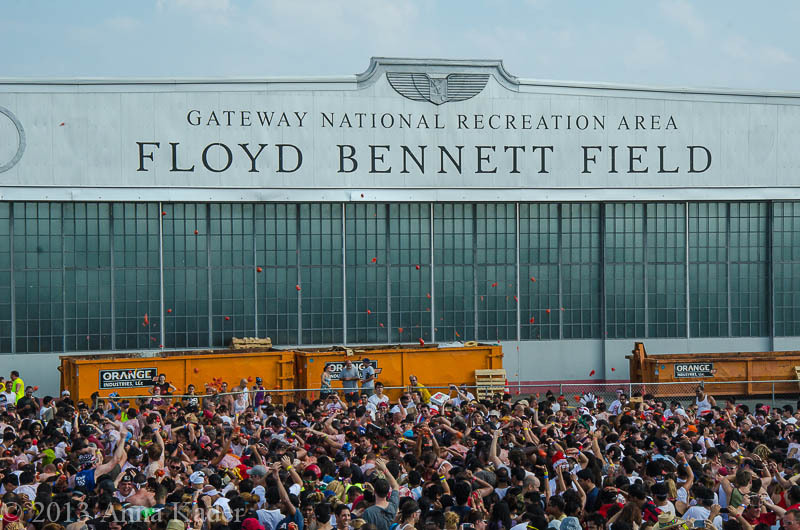 The massive tomato fight did away with thousands pounds of tomatoes and there were several thousand enthusiastic people who attended the battle. 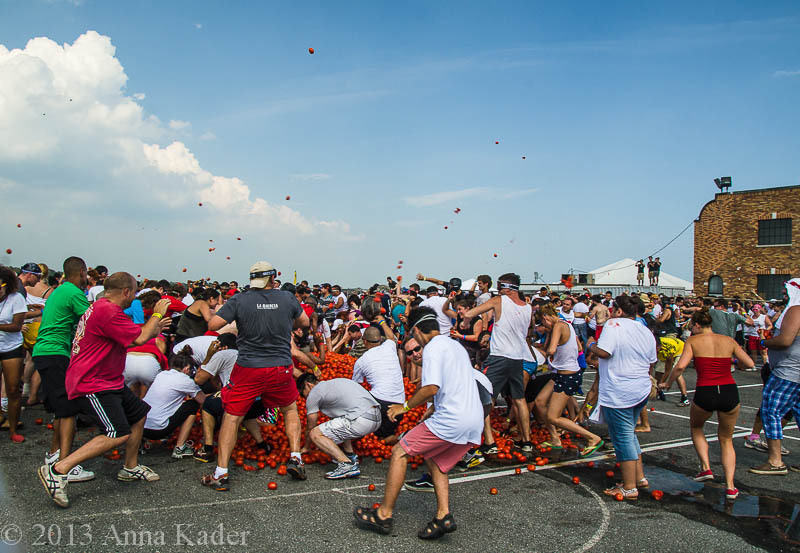 The Tomato Battle fight had offered beside the battle itself a Beer Garden (of course! ), live entertainment, a costume contest, and a wash up session for all. Participants in the 6 hour event were cautioned to bring eye protection, close toed shoes and a change of clothing (of course!) and they definitely needed it. This unique Brooklyn event was well organized and went extremely well! 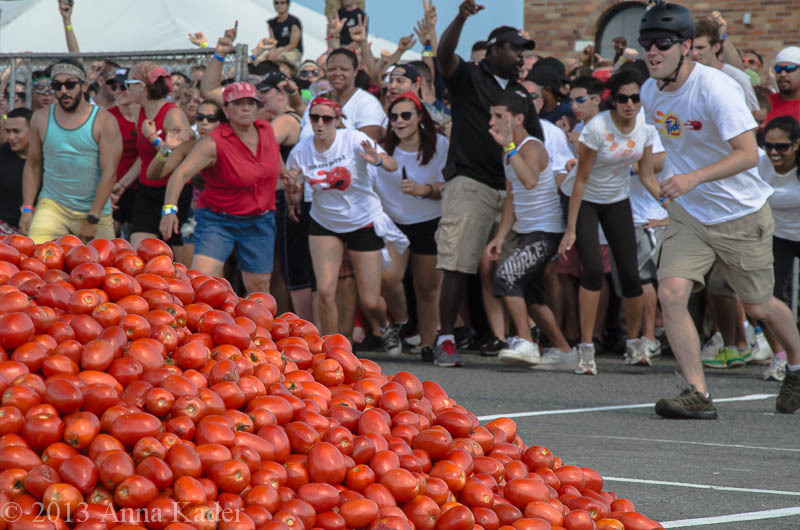 Most likely, since such an amazing time was had by all who attended, we hope this Brooklyn Tomato Battle may become a Brooklyn tradition. Go Brooklyn! Brooklyn is the best place to visit and hang out as well as to invest money into Brooklyn Real Estate or to move in and stay! For more information on fun Brooklyn events and Brooklyn Real Estate News, call our office or email us anytime.